Way back in Tignes. Me, Tina, Andy, Mike and Greger in front. Early in the nineties I spent most of my days snowboarding and it was at this time that I first met Mike Basich. 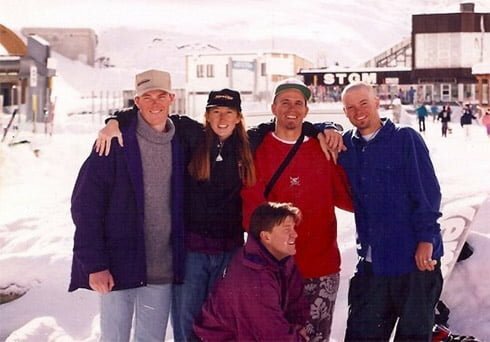 Me, Mike, Andy Hetzel and Mike’s sister Tina acted trainers a snowboardcamp that Greger Hagelin who lated founded WESC arranged in Tignes. Me and Andy became good friends and about half a year later I visited Andy, Tina and Mike in Snowbird Utah. We spent two weeks riding some of the best powder I’ve ever seen. Now, more than 20 years later I’m still hooked up with the guys on Facebook. And that’s where the inspiration for this blogpost begun. Mike, still shredding some serious powder and being one of the public faces for GoPro, he always inspires me. He constantly keeps on pushing those boundaries that he started to push there early in the nineties. But I think his latest project is the most inspiring ever. His new home. Named suitable after the brand he had already started when we first met – Area 241. 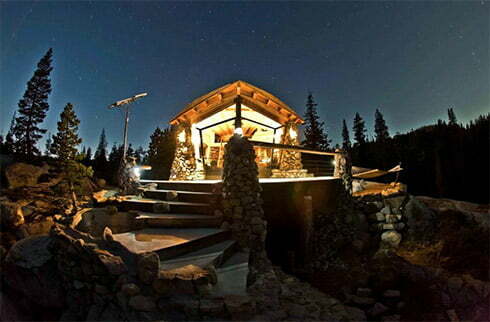 Mike Basich’s home in the back country. I think most of us have a dream of building the ultimate home in their heads but few of us ever get to build it. Personally I’m dreaming of a home in the mountains or one close to the surf. Both of those dreams seem farfetched and much to expensive…if you don’t do like Mike of course! Mike thinks differently. When the rest of us looks for land where everyone else are looking to buy land Mike is looking the opposite way. Mike is building his dream house in the middle of nowhere with access to everything you need. Building his own ski lift. Near Lake Tahoe Mike has spent the past several years building his dream home. He’s built the house about 5 kilometers away from the nearest road which in fact isn’t much of a road at all. Mike trying out his new chair lift for the first time. 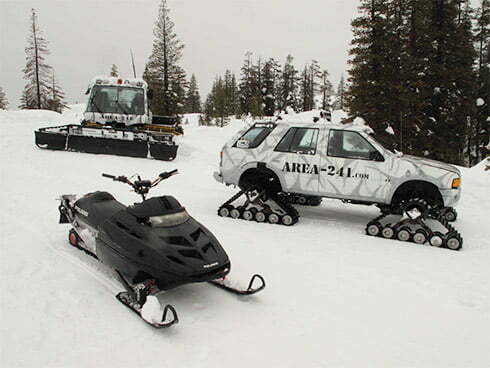 The only way you can get to the house is by walking a quad or a snowmobile. 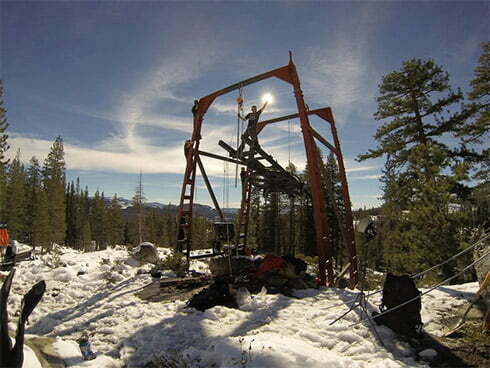 However, since Mike also want to bring friends and enjoy the powder in winter he’s built himself his own ski lift. You heard it right! His own ski lift and it comes with adjustable seats if the powder turns out to be too deep. The gear you need to get on top. People like Mike inspire me. Mike has his own ideas and he’s got the power to see them through! He shapes his life the way he wants to! That is living! Mike! I’ll follow your lead on this house idea some day! Next article33 491 viewers and 1 year later. 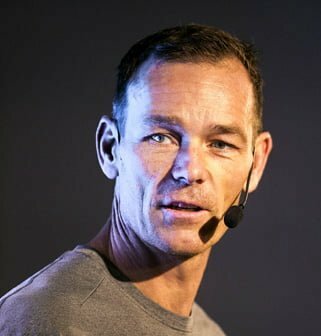 This wednesday it’s time for Webbdagarna again.